KINNECT Training’s Smart Move Comprehensive Manual Handling training is designed to change your people’s behaviours when it comes to Manual Handling and reduce their risk of injury with simple, practical and realistic techniques. This program can be delivered as a generic program or can be contextualised to your business by conducting a site review of the high risk manual tasks performed by your worker’s prior to delivery and adjusting the program to be specific to your workforce. Improving participation and improving outcomes.  KINNECT Training will provide a workplace specific manual handling package aimed at educating your workforce on proactive injury prevention strategies and self management techniques relevant to your business. This can include referencing your own risk management strategies, processes and reporting. Tailoring the training means that you will receive a return on investment as the education provided will make sense to and be implemented by all personnel, resulting in a reduction in your organisation’s musculoskeletal injuries and the costs associated in the management of these conditions. Delivered by Tertiary Qualified Clinicians (Physiotherapists, Occupational Therapists, Accredited Exercise Physiologists, Human Factors Practitioners), the SmartMove Accredited Manual Handling Program is delivered onsite during times of convenience and incorporates both theoretical and practical components. 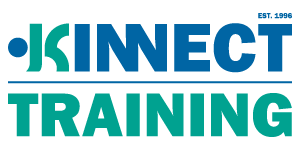 KINNECT Training also offers an online support program that can be used as a refresher module for all participants or as a program for those that were unable to attend a full face to face program. For more information go to the Smart Move Online Manual Handling program. Successful completion of this course will result in the awarding of the nationally accredited unit of competency HLTWHS005 Conduct manual tasks safely. KINNECT works in conjunction with Trainwest (RTO#51807) to assess this course and the Statement of Attainment will be issued by Trainwest. This workplace manual handling risk reduction program has been designed to be relevant to the complete workforce. Understanding the risk associated with manual tasks is important for all within the workplace and having all people in the workplace understand the manual handling risk approach means consistent and effective management. This program specifically meets the needs of businesses that want to formalise the learning process around manual handling and want to ensure a thorough understanding of all aspects of manual handling risk and management processes. Successfully completing this program results in the issuing of a Nationally Recognised Unit of Competency under the Australian Qualifications Framework – HLTWHS005 Conduct manual tasks safely. KINNECT Training can ensure the program is relevant to your workplace through our process of program contextualisation. Drop us a message for more information on what this involves.